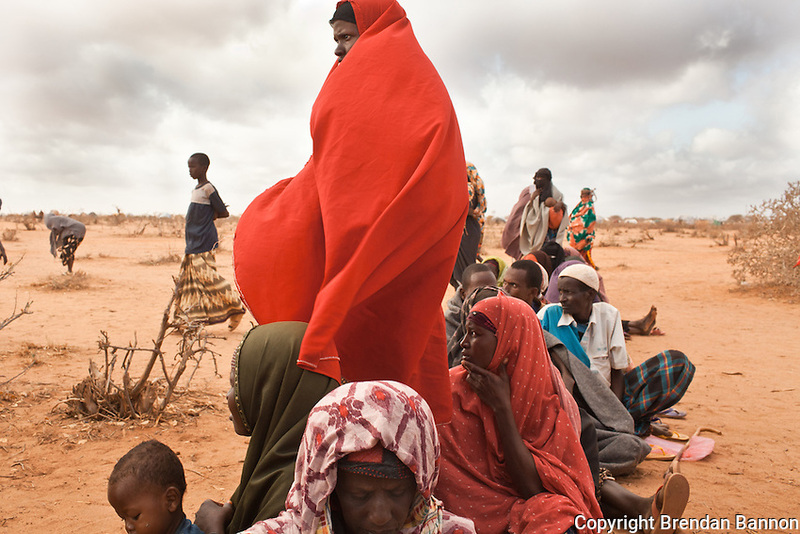 Somali refugees wait in line at the reception center in Ifo camp. Refugees must first go to reception centers for health screening, immunization and finger printing. They will be given an appointment to be registered as refugees.